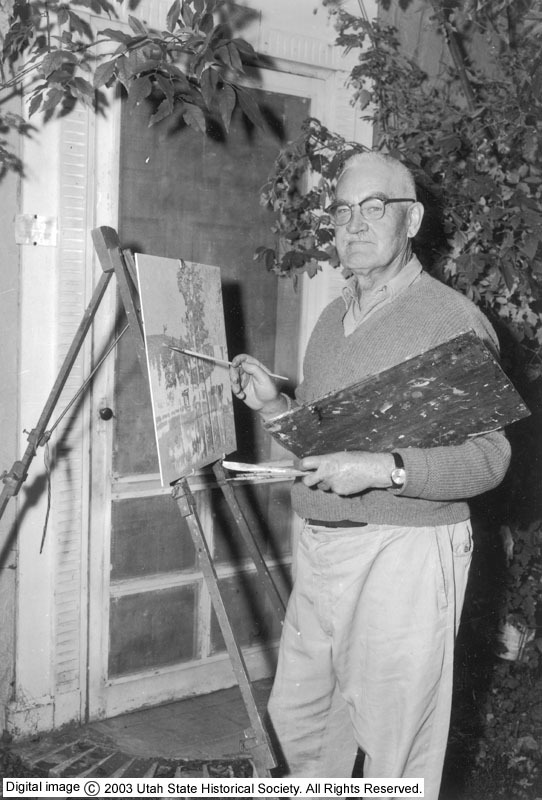 Comment LeConte Stewart was a famous local Utah artist, known primarily for his oil landscapes of rural Utah. He was also head of the art department at the University of Utah. Rights Management Digital Image (c) 2005 Utah State Historical Society. All Rights Reserved.